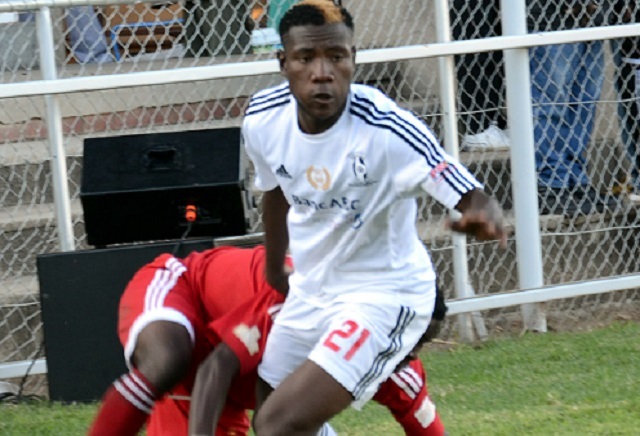 FC PLATINUM coach, Norman Mapeza has declared that he is not interested in Highlanders defender, Peter Muduhwa whose contract with Bosso expires tomorrow. Muduhwa has over the last two years been linked with a move to FC Platinum but Mapeza yesterday said the player was not part of his plans. The FC Platinum two-time championship winning coach said the reason he is not keen on signing Muduhwa was that he already has too many central defenders in his squad. "We are not interested in Peter Muduhwa, we have never showed interest in him. I only read in the Press that we are interested in him. We have so many centre backs in the squad,'' Mapeza said. Gift Bello, Lawrence Mhlanga, William Stima and Kevin Moyo are the natural centre backs in the FC Platinum squad. Defensive midfielder Kelvin Madzongwe can also play at centre back when the need arises. With one of the most rewarding clubs locally not interested in Muduhwa, his most likely destination will be Chicken Inn or Ngezi Platinum Stars. FC Platinum lost anchorman Winston Mhango to Zambia's Kabwe Warriors and attacking midfielder Rodwell Chinyengetere who is joining Baroka of South Africa. Mapeza is now looking to add some reinforcements to his squad ahead of a hectic schedule between January and March. FC Platinum resume training on Wednesday as they gear up for the Caf Champions League group stage where they were drawn to play against Espérance of Tunisia, South Africa's Orlando Pirates and Horoya from Guinea. The players were given a break after FC Platinum drew 0-0 at home with AS Otôho of Congo last Saturday, which was enough to see them book their place into the group stage following a 1-1 stalemate away. FC Platinum will start off at home against 1995 African club champions Orlando Pirates at Mandava Stadium, a match scheduled for the weekend of 11-13 January. Next up is an away fixture against three-time Caf Champions League winners Espérance set for the weekend of 18-20 January. Horoya will make the trip to Zimbabwe for a fixture put down between 1-3 February and the reverse fixture in Guinea on 12-13 February. FC Platinum then travel to South Africa to take on Orlando Pirates for a game to be played during the period 8 to 10 March with their last match being a home fixture with Espérance set for 15 to 17 March.